Christmas is fast approaching, which for many of us means our debit and credit cards take a battering as we take full advantage of online shopping. You know how it goes- you go to work all day, your feet are aching, and you just want to relax in the warm by the time home time comes around, so facing the shops is the last thing you want to do! And the thought of hitting them on the weekend? Crowds of people packed in to narrow aisles browsing the latest offers and trying to pick the perfect gifts- no thank you! So instead we get home, put on our comfy clothes, take out our laptops or tablets, snuggle up on the sofa with a glass of wine or hot chocolate and do our shopping in comfort. However, we must keep in mind that Christmas is one of the busiest times for fraudsters, especially those operating online. Try to only use secure payment systems – PayPal, AndroidPay or ApplePay are recommended by IT service providers, as these are each equipped with secure payment systems, meaning using these services is safer than just inputting your debit or credit card details into a retailer’s website. Use a credit card instead of your debit card – Though money used by fraudsters is returned to the victim by banks or credit card providers, this can sometimes take a good few weeks – not ideal at this time of year! So, instead of inputting your debit card details and risking fraudsters gaining access to your bank account (the money you use to live on!) use a credit card instead. This way, if you do experience fraud, then the money has been spent on a credit card and taken off your credit limit, not been taken from your bank leaving you with zero money to get through Christmas. So, this way, you don’t actually experience a financial loss as such, the money will be put back on to your credit limit once the credit card provider has carried out their investigations in to the fraudulent activity. Use a card with a low credit limit – As mentioned above, credit cards are usually safer to use online, however, to avoid running the risk of high value fraud (having thousands spent on your card), try using a card with a lower credit limit. If you like to keep a card with a high limit for emergency situations, then take out another and request that the provider keeps your limit low, then use this card for your online shopping. If fraudsters manage to gain access to your card details, then they will only have a few hundred pounds to spend, which is much better than thousands. Similarly, if you do not own or want to own a credit card, try opening a separate bank account that doesn’t have an overdraft facility, and transfer just a few hundred pounds at a time in to this account for your online shopping. This way, if you debit card was to be frauded, they would only be able to spend a small amount of your hard-earned cash. Only shop on your own personal devices with your own Wi-Fi – Public Wi-Fi is no way as safe as using your own personal locked Wi-Fi at home, just the same as using your own device is much safer than using a public one. 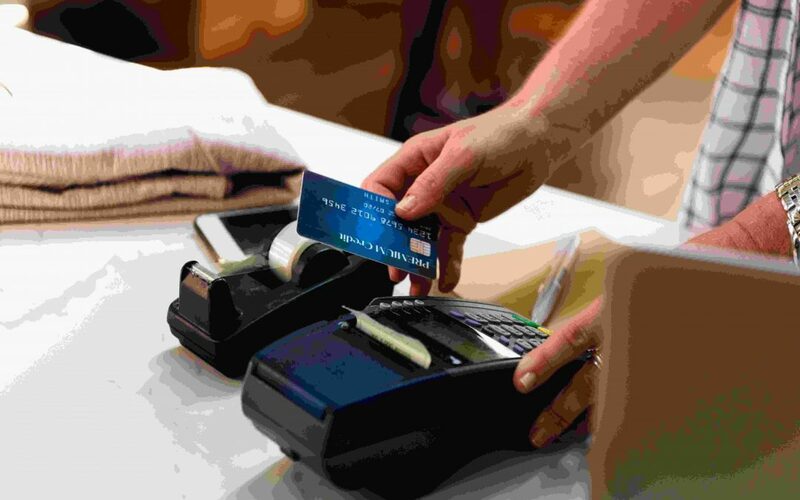 So, as tempting as it might be, don’t do your online shopping using the Works PC’s or connect your phone to the coffee shops’ Wi-Fi and input your debit or credit card details. When using public Wi-Fi, anyone who is computer savvy can potentially view not only what you are browsing, but your personal information you have inputted too. Use a VPN – If you choose to use a Virtual Private Network (VPN) then this has the ability to mask your IP address, which means that potential hackers can be mis-led regarding your location. For example, though you may live in England, you could appear to be in America. Using a VPN will encrypt all of your personal information you input on to the retailer’s website, it also hides this information from the Internet provider, which is especially helpful if you do find yourself needing to use public Wi-Fi. There are VPN’s available for free download, however, for those serious online shoppers, it is recommended you purchase a high quality one, which usually costs around £30 for a year. Always be password smart – Keep your passwords unique and known only to you, and avoid using obvious things that people who know you may guess, such as your birthday, partner or children’s names, pets’ names etc. Passwords should be long and be made of a combination of words, numbers and letters that is impossible to guess. Something like G8tew4y9932 should keep those fraudsters out! Keep in mind, fraudsters love the Christmas period when shoppers go mental online with their debit and credit cards, so make sure you take our tips on board to prevent yourself falling victim to their thieving.